Comments Off on Why Choose a Serviced Office? Renting a new office space is not easy for many new companies. It’s very difficult for them to take out the vast amount of funds needed for setting up the office space. Apart from simply renting the office space, you will also need to spend a great deal of money in order to decorate the office and equip it with essential services that will be required by your employees to do their job. Common services that you will need include a powerful Internet connection, printers, electricity for powering all of the equipment, and many other services. If you are planning to set up a new office, you should definitely consider looking at serviced options. A number of private management companies have now begun to offer serviced offices on rent to their customers. You can save yourself from a lot of hassle and pointless effort if you decide to rent a serviced office. Here are just a few of the many reasons why a serviced office might be a better choice for your business. One of the main reasons why so many new businesses now prefer renting serviced offices is because they are situated in central locations. You can easily look for a serviced office in a major commercial district in cities such as Melbourne or Sydney. The Sydney metropolitan area is one of the many districts that is full of major corporations and headquarters of massive conglomerates. If you are able to find an office space within the metropolitan area, you could lend a considerable amount of credence to your company’s business. Every time you give your business card to an affiliated party, he or she will take your company more seriously just because of its location. Before you rent a serviced office, you will need to talk to the management company and discuss your requirements. The company will show you different offices throughout the city based on your requirements. Depending upon the number of employees who will be occupying the office, the company will set up the space accordingly before you can move in. You won’t have to spend a penny over the rent in order to purchase machinery, equipment, or furniture for the office. The entire office will be properly decorated, including computers, chairs, cubicles, and other equipment such as printers or scanners. You just have to let the company know about the kind of equipment that you want in the office space and they will handle the rest. Another major reason why a serviced office might be a better choice is because it’s a hassle-free option. As your business continues to grow, you will want to focus more on your company’s services. 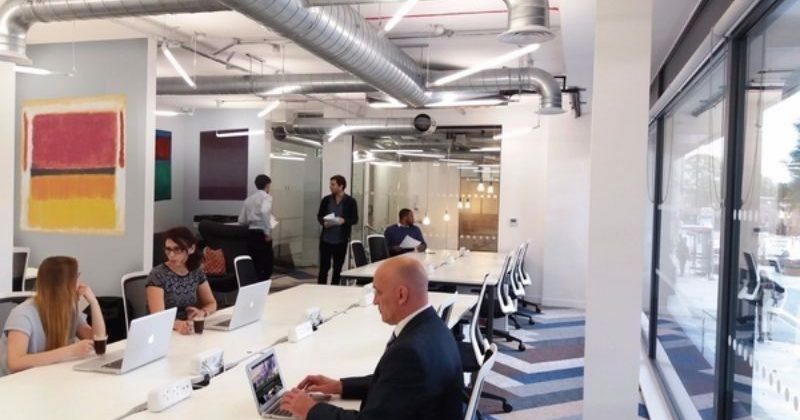 Instead of spending more time on buying equipment and shopping for furniture for your office, why not just move into a serviced office space? In case you need anything, you can just call the management company and they will handle the rest. It’s a simpler, more efficient option for smaller businesses. Why Choose a Serviced Office? 0 out of 5 based on 0 ratings. 0 user reviews.